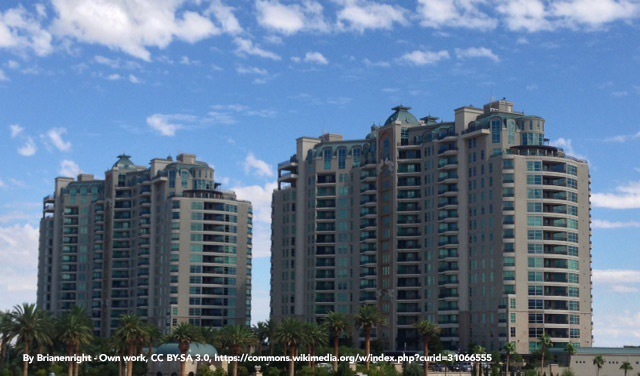 Located in the southwest corner of the Las Vegas Valley, Queensridge is a small community that offers 605 residences that evoke an old world European ambiance. A guard-gated community within the Peccole Ranch master-plan community, Queensridge also has two non-guarded neighborhoods: Windsor at Queensridge and Queensridge Fairway Homes, a gated community offering townhomes. Built around the 27-hole Badlands Golf Club, Queensridge offers homes that range from 1,400 square feet to over 20,000. Built between 1996 and 2003, Queensridge is known for its distinct design, featuring properties modeled after French, Italian and English architecture, all spread over 800-acres. The community offers a clubhouse, featuring an exercise room, pool and tennis courts. The community also features green spaces, parks, gardens, and more, providing a warm, welcoming feeling throughout the community. With its location in the Las Vegas Valley, residents have easy access to Red Rock Canyon National Conservation Area and it's just minutes from The Strip. Whether your interests lie in the bright lights and excitement of Paradise, or you're more interested in outdoor recreation, Queensridge is an excellent choice for anyone looking for quality real estate in Las Vegas, Nevada. Find exclusive and featured properties in Queensridge.